OLIVE JAPAN®new official book 2016-2017 will be published on June 29 ! Home » News » News » OLIVE JAPAN®new official book 2016-2017 will be published on June 29 ! The Olive Oil Sommelier Association of Japan will publish its annual official book of OLIVE JAPAN® 2016-2017 on June 29th, 2017. 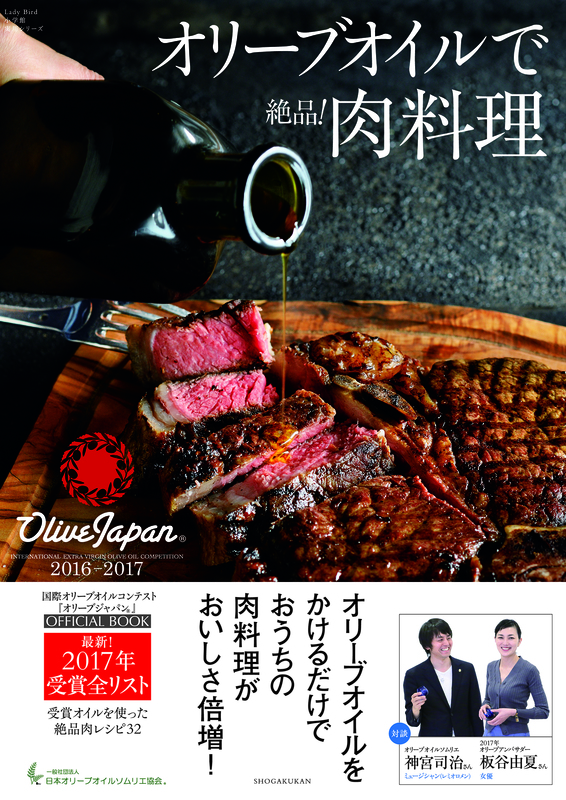 This is the second annual book of OLIVE JAPAN®, and especillay featured olive oil cooking with meat cuisine. 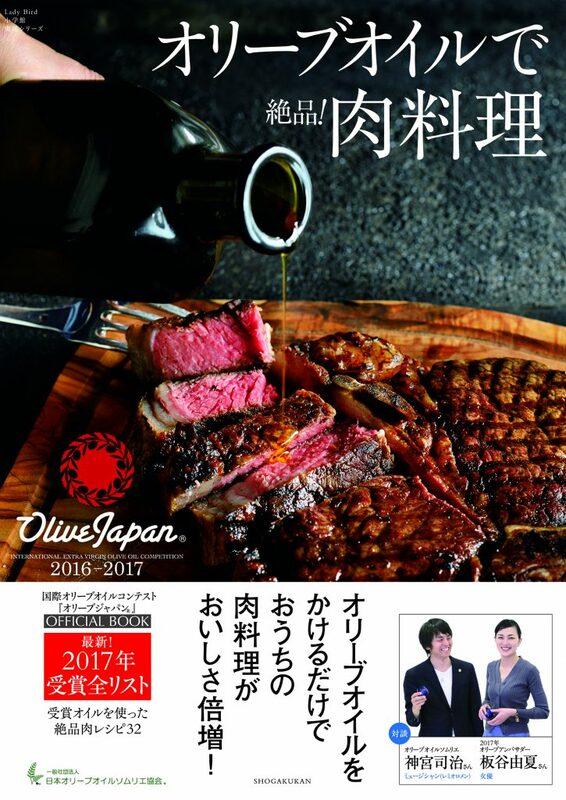 It is the yearbook of OLIVE JAPAN® International Olive Oil Competition, therefore the important part of the book is, the winners list, but not only for this, this book most concentrates in the cooking recipe promotion towards consumers. How olive oil cooking is so easy and delicuous ? Cooking with award winning excellent extra virgin olive oil ! Enjoy 32 recipes developed by the Olive Oil Sommelier chefs with 16 OLIVE JAPAN award winning olive oil.